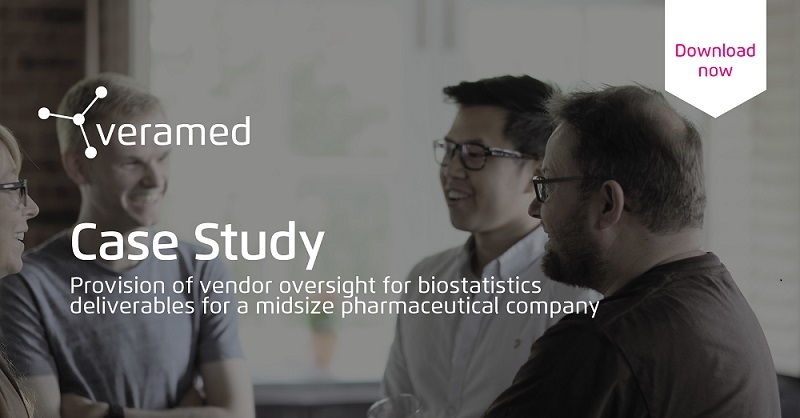 This case study by Biostatistics Director Emma Jones discusses; Provision of vendor oversight for biostatistics deliverables for a midsize pharmaceutical company. Emma is responsible for enabling the Veramed Biostatistics team to achieve the highest levels of quality from consultancy to reporting. Emma has a wealth of experience in vendor oversight, statistical consultancy and of clinical statistical analysis gained from a variety of leading global pharmaceutical companies. She has knowledge in both technical and non-technical aspects of study design and statistical analysis across clinical studies from Phase I-III and multiple therapeutic areas, including oncology, respiratory and immunology.